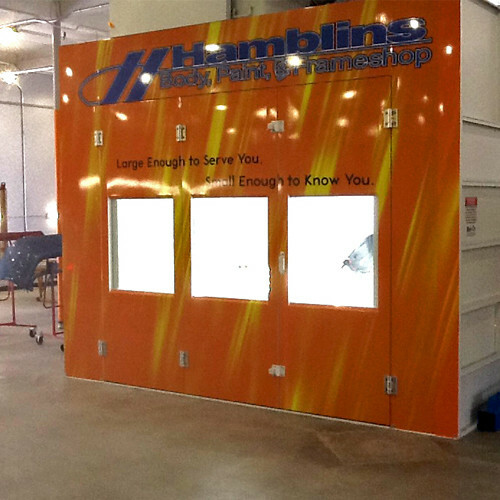 The challenge at Hamblin’s Collision was to have a Garmat Tier 1 Low Nox heater (AQMD approved) drive thru auto spray collision repair paint booth shipped, installed and operating by the time Hamblin’s was to have their grand opening, exactly 6 weeks after the contract was signed. Due to the long term relationship RelyOn has had with Rod Perry (owner of Hamblin’s Body and Paint), RelyOn took on the challenge. 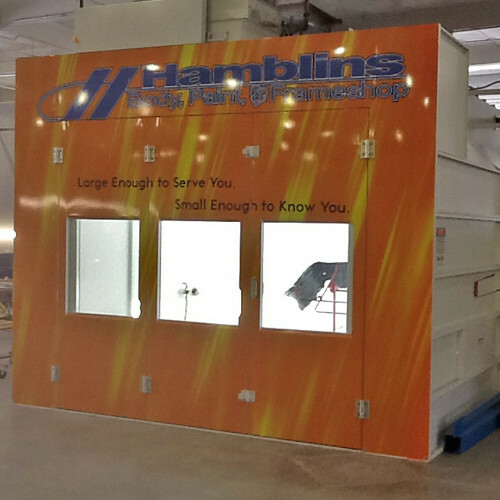 What normally is a 3 month process had to be expedited to fit within this 6 week window. What is the “RelyOn” solution? 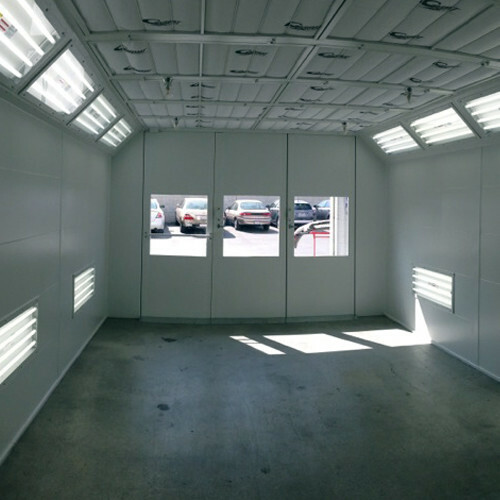 RelyOn immediately jumped on the project and, after determining the final location of the booth, we hand delivered plans to the city, fire department, and South Coast AQMD, and paid to expedite all of the above. 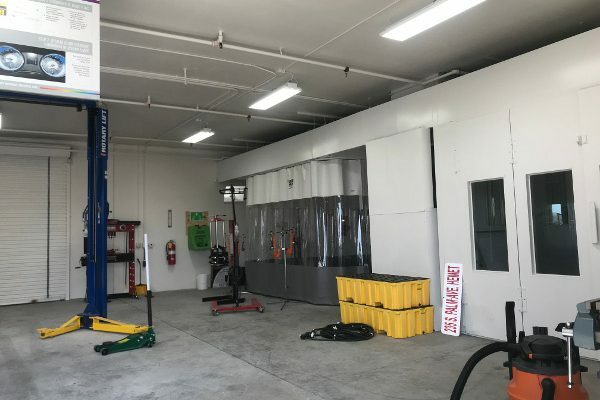 We kept in touch with all the appropriate parties, expedited corrections, and were able to receive the final approved permits the day the equipment landed. 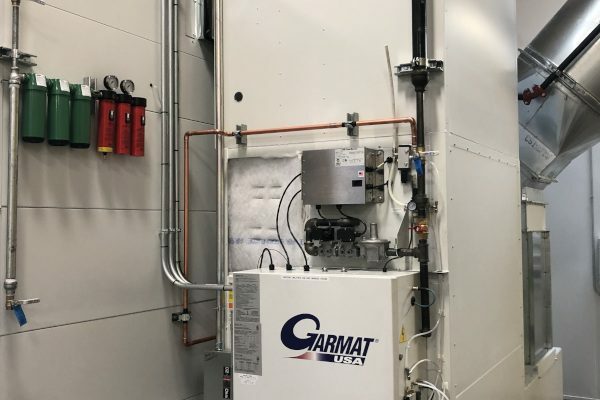 When the spray booth landed from GARMAT USA, RelyOn’s installation team immediately began the assembling the Tier 1 Semi-Downdraft paint booth, working both 12 hour days and weekends. 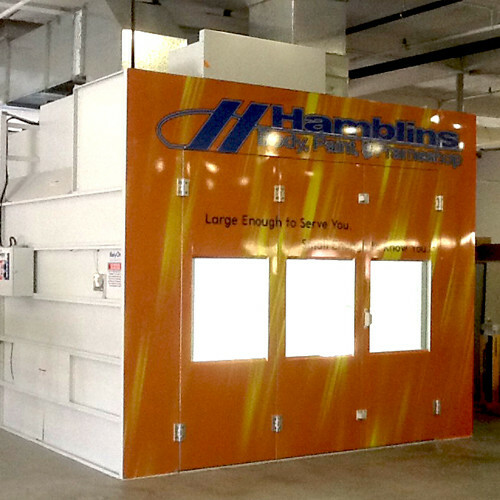 Each team of the installation crew worked seamlessly to turn over the project to the next team until the installation was complete. 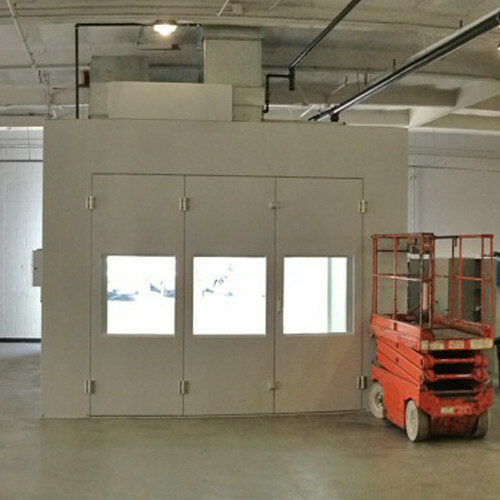 All utilities were brought to the booth during this ongoing process by RelyOn sub contractors so no time was wasted. Inspections were immediately scheduled, and, after a few corrections were made, the operation was deemed approved. 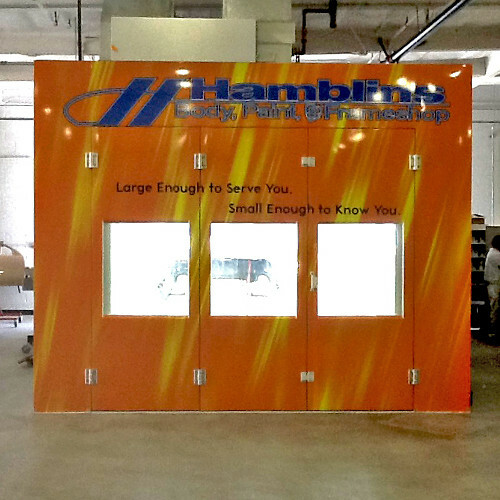 Happily, Hamblin’s was able to fire up the GARMAT Tier 1 Automotive Collision Repair Spray Booth on April 1, the day of their grand opening. The only April Fools joke that was played on that day was on the other body shops in the area. 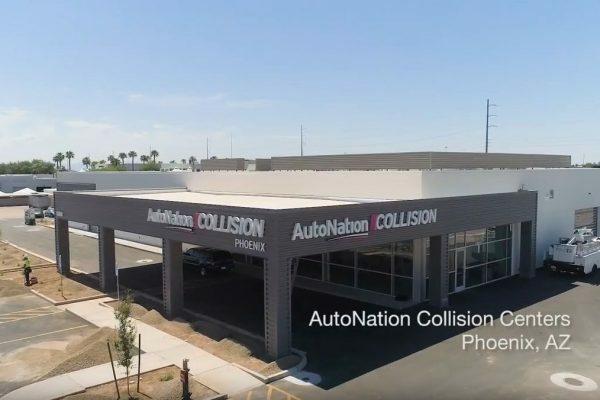 Given a strict time crunch, RelyOn Technologies doesn’t walk away from challenges, but flourishes from them. Where others say ‘no, it can’t be done”, or promise to the job and then don’t deliver, RelyOn Technologies will always say ‘yes we can’. 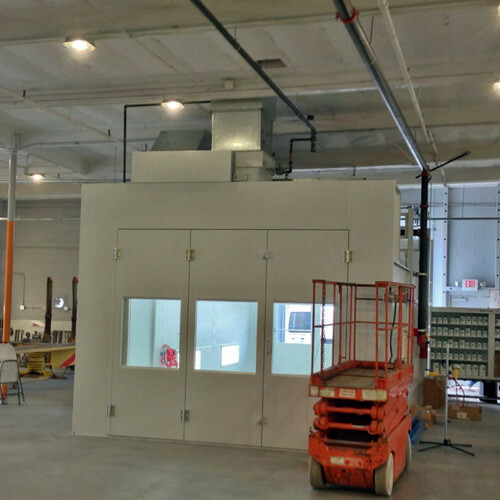 No matter the scope of the project, whether small or large, RelyOn Technologies strives to finish on time and under budget, and we pride ourselves on doing so since 1983.